Sunshine Pops es un disco que provoca reacciones un tanto enfrentadas. Digo ésto porque el tema con el que se abre el disco es impresionante: Where do you go es algo así como una explosión de color y de sonidos Retro sabiamente producidos con un toquecito Psicodélico que aporta ese sitar juguetón, y hasta algo bailable, unido a una letra simple y efectiva. Una especie de viaje hasta finales de los años sesenta, con un sonido algo actualizado. “Esto promete” -pienso-, pero me encuentro con Little Miss Valentine. Giro de 180 grados y tema a lo 10cc mezclado con un sabor de Pop-Barroco-Left Banke un tanto edulcorado y meloso. “Seguro que la siguiente es mejor” -barrunto-. Seeing is believing salva algo la cara. Otra vez el sabor a Pop-Barroco esta vez con un riff de clavicordio muy acertado, que el mejor Beck de su época Odelay seguro hubiera utilizado. 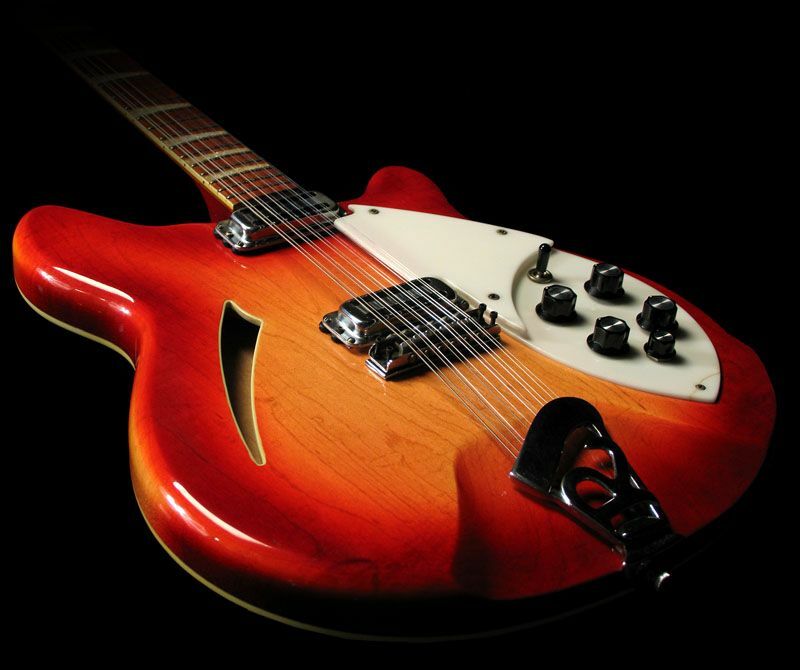 El sonido del bajo evoca al del Rickenbacker-bass que utilizaba McCartney en el 68. “Buen tema, seguro que de aquí en adelante esto ya no para” -medito-. Pero no. De aquí en adelante sólo encuentro divagaciones sobre más o menos el mismo tema. Medios tiempos un tanto soseras que no me sacan de un cierto sopor. 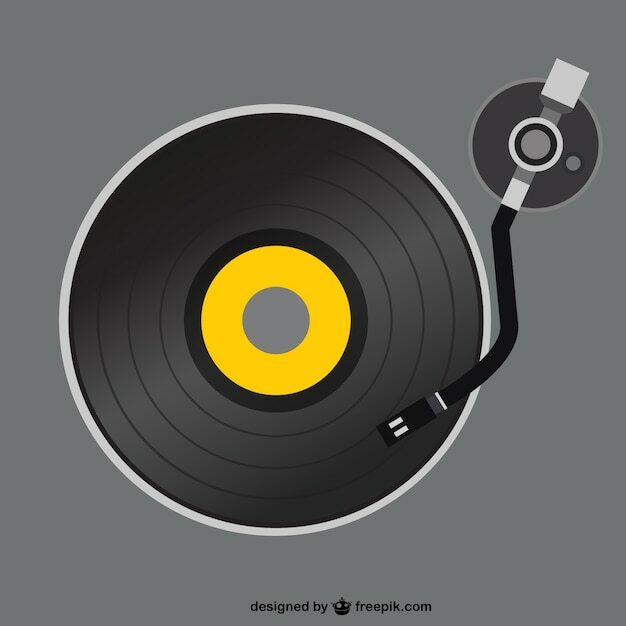 La idea del álbum es buena: construir una especie de disco basado en el pastiche de sonidos de los años sesenta, tomando diversas referencias. The Beach, primer single, por ejemplo toma de base el muro de sonido Spectoriano, pero no nos emociona, se queda más bien en el intento. The harbour mistery parte de alguna sonoridad de The Beach Boys, pero es más de lo mismo. La sensación final que nos queda al oír Sunshine Pops es que Superimposers se quedan más bien como Allan Patridge y sus XTC, en buenos impostores (el mismo nombre de la banda lo indica) del sonido de los sesenta, pero no llegan a ahondar en la esencia de los grandes temas, y se estabilizan en la superficie. Eso sí, Where do you go es un pedazo de canción, a lo mejor sólo por éso merece la pena echar un oído al disco entero. “If you didn’t get it from that title, the album happens to be of a rather sunny disposition. And what better way to convey the untameable joy of summer than through a record of Sixties pastiches that wouldn’t sound out of place soundtracking an Austin Powers film. If you thought the nauseating sitars of Belle and Sebastian’s ‘Legal Man’ was them at their retrogressive and derivative worst, then imagine that song minus its sense of escapism and the cheeky meta-pop references to Orange Juice/Al Green in the lyrics, and replace them with verses that sound like Toploader and inane sub-Britpop nonsense like “You took your time to ssshhhhhhiiiiiiiiiine”. It is tempting to accuse The Superimposers of overly hammering home the summer references, as subtlety really isn’t their forte (see the ahem… scene setting seagulls samples at the start of ‘Harbour Mystery’), but they don’t do anything quite so emphatic as that, the vocal delivery maintaining an unemotive chilled out vibe throughout. 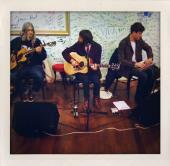 Imagine Jack Johnson, but from Dorset and you’re not too far off the mark. This pedestrian nature extends to the music itself. One thing that The Superimposers and producer Shawn Lee do deserve credit for is the how convincing the sonic details of their Sixties pastiche are. This is particularly notable on the Left Banke-style baroque pop of ‘Little Miss Valentine’ with its gentle sway of “ooh-la-la” harmonies, playful harpsichord, warm acoustic jangles and loungey percussion. ‘The Beach’, meanwhile, boasts crisp snare and tambourine beats worthy of Spector and gently reverberant vibraphone. The album maintains a cohesive sound throughout, but for the slightly incongruous, though hardly mind-blowing use of programmed beats on ‘Tumbledown’. Unfortunately, The Superimposers just don’t have the tunes to match the sixties songsmiths whom they aspire to emulate. 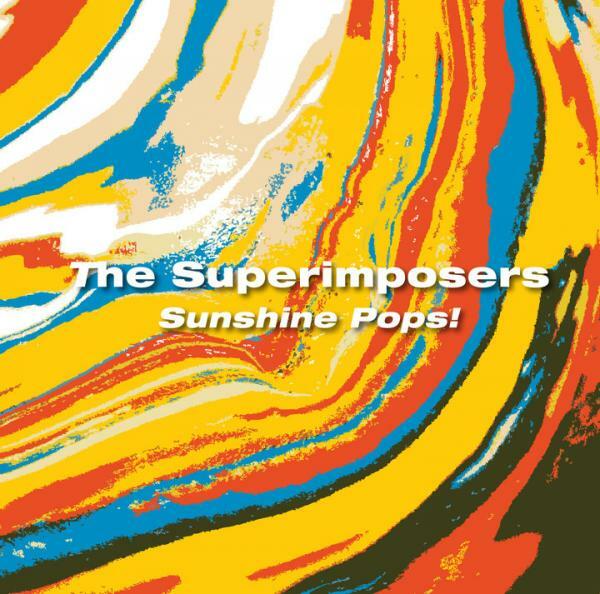 For an album that wears its classic pop influences so clearly on its sleeve Sunshine Pops! is sorely lacking in arresting melodies. Sure, ‘Four Leaf Clover’ and ‘Seeing Is Believing’ are sort of pleasant, but they’re totally incapable of raising any kind of emotion or response other than…well ‘meh’, except to cringe at the banal lyrical platitudes such as “Falling, falling, lying, trying! ‘Cos seeing is believing, you gotta believe what you’re feeling”. The only song that stirred any real feeling (other than mild annoyance) in this writer was ‘Tumbledown’; an ethereal concoction of warbly synths, eerie strings a la ‘Wichita Lineman’ and a nagging guitar refrain, it transcends pleasantness to be genuinely gorgeous. It’s a struggle to say anything interesting about most of the songs on Sunshine Pops!, except perhaps to say that ‘The Beach’ features a guitar tone redolent of Six-era Mansun, or to pick out the odd pleasing detail, such as the charming Disney-like tinkle of a descending glockenspiel melody on album closer ‘Would It Be Impossible’. Even then it is just one interesting detail on a broad canvas of blandness.